Last year (2017) was a year of change for the Natural Resource Management Department, which included a change of managers in addition to the beginning of a change in curriculum. As a now fully registered Higher Education Institute, the College is in the process of improving the quality of teaching and materials in alignment with the requirements set by the Council of Higher Education of South Africa. To guide this process, several workshops, meetings and planning sessions have been held with all the different stakeholders affected by SAWC’s Higher Education Training (HET) programmes which also include the target conservation organizations across SADC. 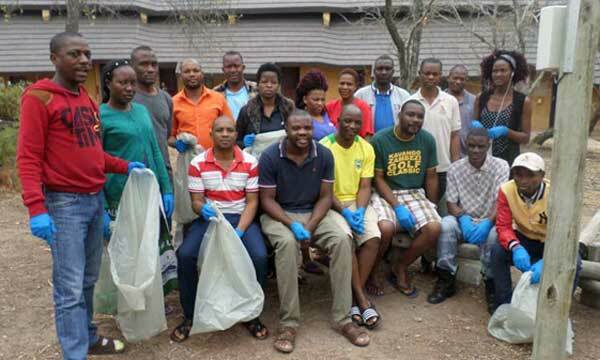 To embrace these changes and improvements, the 2017 HET students organised a voluntary clean-up day on campus. 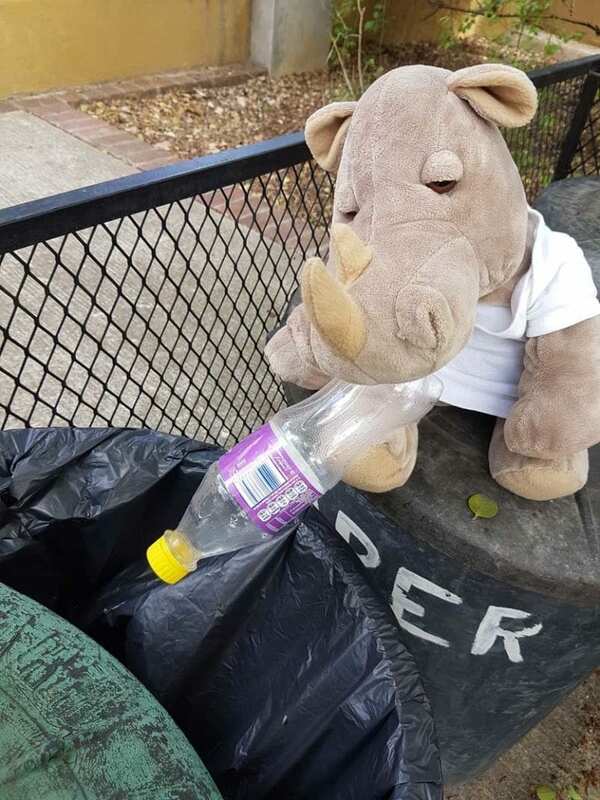 Four large refuse bags of discarded materials were picked up along roads and footpaths and for this effort and the HET student’s general willingness to always assist wherever there is a shortage of hands on campus, the CEO awarded them with the Helping Rhino Award for the month of October. The second semester modules presented to the Higher and Advanced Certificate students were all completed successfully. 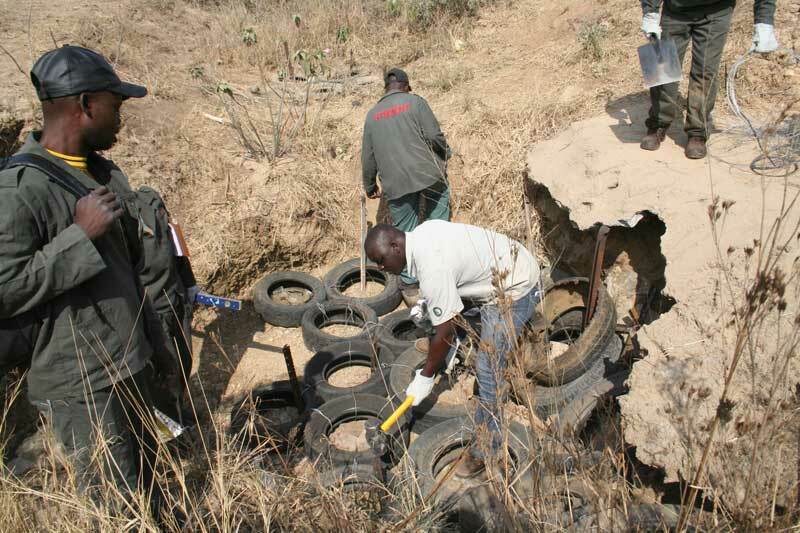 A strong emphasis was placed on applied learning and highlights from these practical sessions included the fixing of eroded sites within the neighbouring Welverdiend community as part of the student’s Infrastructure maintenance module, teaching of educational games at Letaba’s elephant museum to local school children as part of the Environmental Education module in the Kruger National Park and a simulation of the processes required during an environmental audit at the College as part of the Environmental Development Planning module. Most HET students registered for the yearlong courses have successfully completed their final exams and are eagerly awaiting their graduation. Although some will return to the College to further their qualifications in 2018, most will now return to their work places, ready to take the lead as responsible stewards of planet earth’s natural resources.